HomeDelaney's ArmoireThe Power of Lashes! 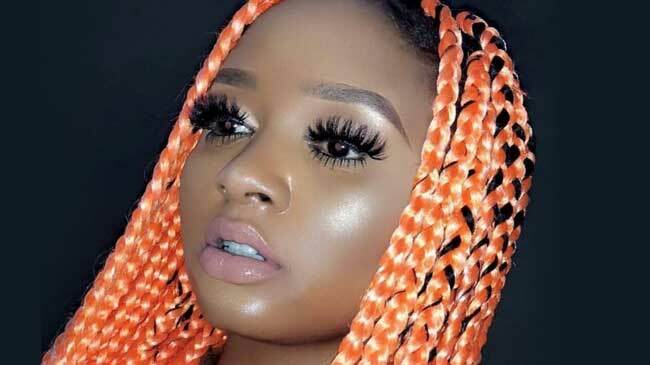 A full face of makeup is now a thing of the past thanks to lashes. Makeup is more complicated today than ever before. There are more steps than a little when it comes to achieving the perfect glamazon look, but luckily for you, lashes are here to solve that problem. Seen in recent social posts and celebrity media, more women are gladly rocking their bare faces as long as they have a pair of lashes to add some spark to a plain look. From falsies, to extensions or even volume mascara, there is a lash outlet for everyone. Lashes are your new summer must-have for slaying all season long. No makeup artist or makeup products required. For the beginning lash enthusiast, we recommend trying the most extreme mascara to enhance your own lashes. And for the more adventurous glamazon, find your local lash salon or technician to apply false or extension lashes for the perfect summer beauty face. No matter the occasion, lashes will make the look!